Built on the site of an old convent, this elegant hotel, ideally situated in the town center, is the perfect place to choose for a business trip or a holiday and is recommended for lovers of art and gastronomy who will enjoy a stroll through the narrow pedestrian streets and along the quayside of Bayonne. 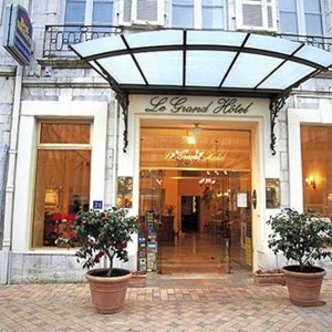 Best Western le Grand Hotel with its 54 comfortable rooms and its cozy bar is an enjoyable place to chill out. Choose Best Western Le Grand Hotel and surely you will have made the Best Choice.